It takes a lot to make Rex blush, but he's tickled pink about our Pink Moscato's pretty floral aromas, mouthwatering strawberry sweetness and vibrant citrus finish. A sweet favorite originally from the vineyards of Italy, Moscato has captivated the hearts of millions. 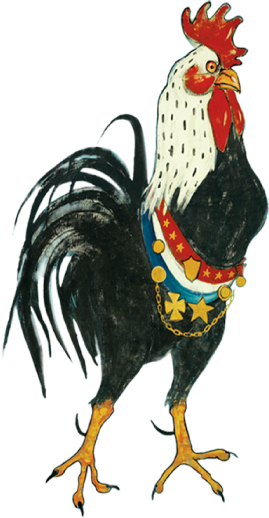 We happen to know a 47-pound rooster who's mad about it too. We gently pressed the grapes and quickly clarified the juice to savor its seductive aromas before it was cool-fermented in stainless steel tanks to draw out natural flavors. Deliciously versatile, chill and serve this refreshing wine with spicy dishes and your favorite desserts. Find Rex Goliath Pink Moscato near you. Enjoy recipes and food pairings with Pink Moscato.